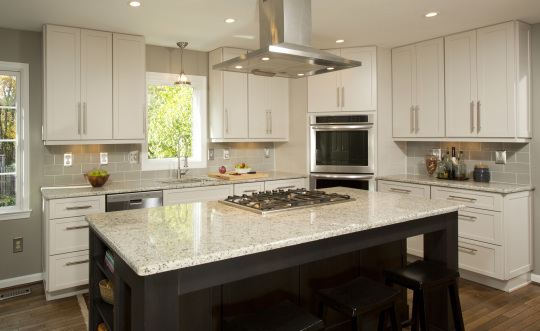 Jaysmith is a Custom Kitchen Remodel in Great Falls VA. Our clients hoped to update the existing materials, while creating an airy and Cook Friendly environment. 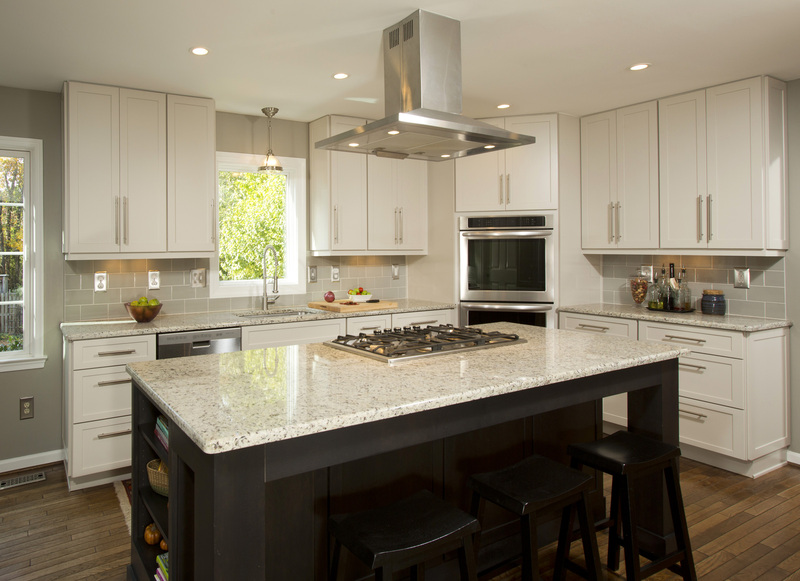 Our recommendation was appliance positioning and soft and inviting material selection that are easy on the eye, yet commanding enough to attention to the details. By positioning the Double Oven in the corner and moving the Refrigerator to the the adjacent wall the layout opened up for the Cooking Station to anchor the center of the space. The dark island really connects the goal of the space. The soft perimeter selections brought the rustic floor and paint selections together creating a space that is very soothing.